The head of Canopy Growth Corp.'s retail operations has left the company just ​months after joining Canada's largest pot producer, as it continues to roll out its cannabis retail operations across the country. 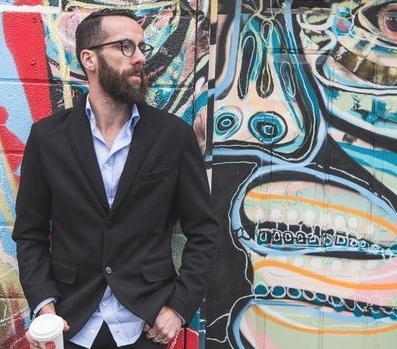 Alan Gertner, Canopy's chief retail officer, told colleagues and friends last week he was leaving the cannabis giant after less than six months on the job, according to two sources with knowledge of the situation. His departure was confirmed by Canopy representatives. Canopy acquired Hiku Brands Co. Ltd., the parent company of Tokyo Smoke, in July for $269 million. Hiku, led by Gertner as its CEO, agreed to be bought by Canopy after rejecting a lower offer from WeedMD Inc., the company said in a statement at the time. When Tokyo Smoke was founded in 2015 by Gertner and his father Lorne – who launched Canada’s first legal medical marijuana grower Cannasat Therapeutics Inc. – it differentiated itself from other cannabis equipment retailers with a clean, inviting interior design and a focus on higher-end products. In a text message to BNN Bloomberg, Gertner said he's taking a sabbatical and plans to spend time with family. He added that Canopy's retail plan is in "incredible shape" and will aim to "provide the greatest cannabis consumer experience in the world." Alan Gertner, CEO of Tokyo Smoke, and Trevor Fencott, CEO of Fire & Flower, join BNN Bloomberg's Greg Bonnell to discuss what consumers and investors alike can expect from the cannabis store retail model. Canopy spokesperson Jordan Sinclair said the company has no plans to replace Gertner's role as chief retail officer, citing its "incredible amount of bench strength" among existing retail staff. "If you look at the management team that we have, we have the strongest management team in the cannabis business," Sinclair said in a phone interview. Canopy currently operates 16 cannabis stores across Canada, which includes 12 under the Tweed banner and four Tokyo Smoke locations. It also owns seven Tokyo Smoke coffee shops, which are currently not licensed to sell cannabis. In its most recent quarter, Canopy said that it plans to have 43 Tweed and Tokyo Smoke stores open by September 2019. However, Canopy has yet to announce any cannabis stores in Ontario, although the company remains in negotiations with several potential lottery licence winners, one source familiar with the negotiations told BNN Bloomberg. Canopy has an 18 per cent market share across pot e-commerce websites in five provinces, the biggest among Canada's pot producers, according to a report published by Cowen & Co on Friday. "We continue to observe [Canopy's] share is stronger in markets with established brick-and-mortar retail stores," said Vivien Azer, Cowen's cannabis analyst. "As those markets expand their retail presence, we would expect [Canopy's] share to increase as well."